Named for my beloved grandmother, Isabel fingerless gloves feature a delicate lace pattern that looks complicated, but is deceptively simple to execute. A shaped thumb gusset means that these gloves are made to fit the hand naturally and comfortably. Isabel gloves are quick to knit and can be completed in an evening or two using less than a single 3.5 oz (100 gr) skein of worsted weight yarn. As these gloves do not have a ribbed cuff, they do benefit from the elasticity of a natural fiber, like wool. Our sample gloves were knit with Patons Classic Wool in the Seafoam colorway using approximately 80 yds (73 m) of yarn. 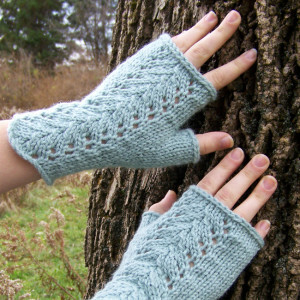 The Isabel pattern includes a chart for the lace portion of the gloves as well as complete written row by row instructions. The ability to read a chart is not necessary in order to work this pattern. 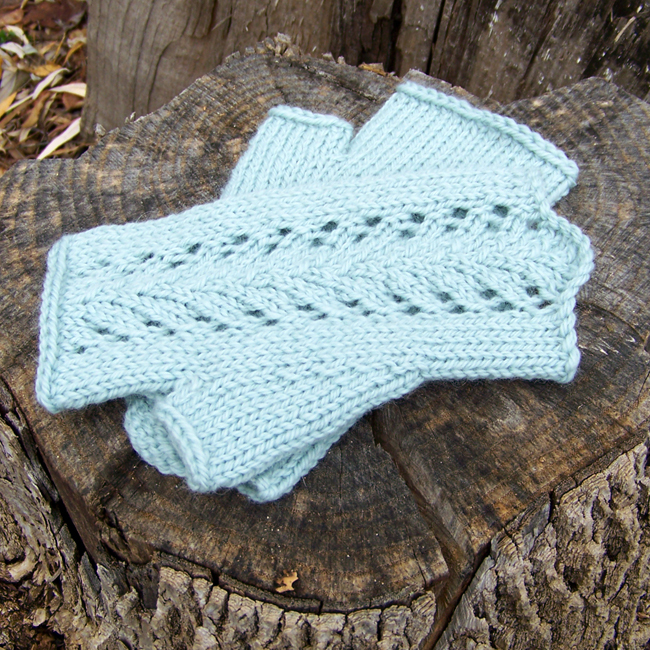 Full pattern details for the Isabel Fingerless Gloves can be found here.